This week I wanted to build off of last week's post, Discover jazz, where I went through different ways to start listening to jazz. In the post, I explained how you can build a music collection from a particular artist you enjoy by learning their discography. I used Miles Davis as an example to showcase the various connections you can build from just one artist. This week I wanted to show a similar yet different route to discovering jazz. Many people are familiar with popular jazz standards by listening to the radio at a coffee shop, restaurant or mall. You may discover a new favorite song while at a brunch or bar that plays live music while out with friends. In this way, you can discover jazz history through just one song. A song or standard is a great way to plant the seeds of learning since they are typically recorded by numerous artists. For this post, I will use the popular song "Take Five" as an example since it is commonly heard at jazz brunches and restaurants. Once you know the song title, you can easily search for its composer and history. 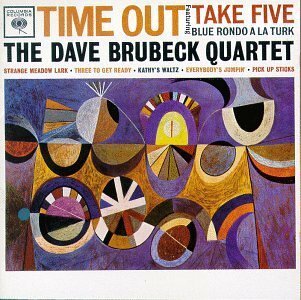 "Take Five" is a composition by Paul Desmond performed by the Dave Brubeck quartet on the 1959 album Time Out. Some jazz standards were originally from plays or movies. Gershwin, Cole Porter and Irving Berlin are some of the composers that helped build the American Songbook. What do you like about "Take Five"? Do you like the relaxed feeling of the song? Do you think the melody is catchy? 2. What are the other songs from the album? Once you know the original album, you can find out what other songs are on it. Time Out also includes, "Blue Rondo à la Turk," "Strange Meadow Lark," "Three to Get Ready," "Kathy's Waltz," "Everybody's Jumpin'" and "Pick Up Sticks." Do you like any of the other tracks from the album? Does "Take Five" blend well with the other tracks on Time Out? Time Out features Dave Brubeck on piano, Paul Desmond on alto saxophone, Eugene Wright on bass and Joe Morello on drums. Maybe from the song "Take Five" you discover you love the cohesive sound of the group. What makes this particular personnel stand out? Do you enjoy Paul Desmond's alto saxophone tone? Is it the repetitive pull of the rhythm section? 4. Who else recorded the song? By a simple YouTube search, you can find numerous versions of "Take Five," including tracks by Carmen McRae, the Jazz at Lincoln Center Orchestra and Tito Puente. With each version of "Take Five" you can discover how one song can be adapted for different styles, instrumentations, groups and purposes. Carmen McRae's version of "Take Five showcases inventive lyrics while Tito Puente and the Jazz at Lincoln Center Orchestra expand the original quartet setting to a larger format. These differences add interest and make the song sound fresh each time. Explore each version of "Take Five" and discover what makes you love the track. Based on your answers to the above questions, maybe you will decide to explore albums by Paul Desmond or Carmen McRae. 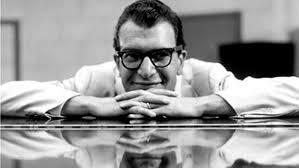 You may listen to other Dave Brubeck albums such as Jazz Goes to College or Brubeck Plays Brubeck. Or maybe you love the sound of the big band from the Jazz at Lincoln Center Orchestra, and will come across the bands of Duke Ellington and Count Basie. A jazz standard heard at a restaurant, bar, live concert or mall can be a powerful influence to expand your own music collection and ultimately come in contact with the music you personally love. I also want to stress that jazz is more than just music: it is a powerful tool for education, history, self reflection and activism. Just one song can plant the seed to inspire others to make a change.